Volunteer Florida has an exciting announcement to make regarding a leadership transition in our Emergency Management & Volunteer Services Department. 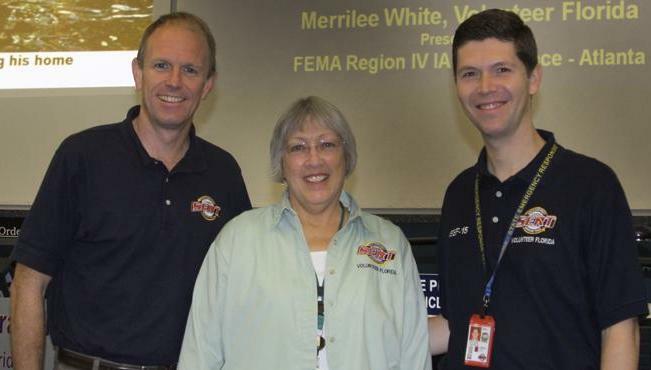 Merrilee White, our Emergency Management Consultant, will become Volunteer Florida’s Director of Emergency Management & Volunteer Services effective July 1, 2013. Merrilee has vast emergency management experience and knowledge and is well-respected by her colleagues throughout our state and nation. She has proven to be a tremendous asset to Volunteer Florida in our role as the lead agency for the Division of Emergency Management’s ESF-15. Just last year, Merrilee was awarded the FEMA Craig Irwin Memorial Award for her outstanding work in emergency management! This award is presented annually to one Individual Assistance Staff who has pioneered innovative ideas, demonstrated extraordinary support for Individual Assistance Programs, and has been exemplary in promoting assistance to disaster survivors. We are pleased to welcome her to our leadership team! Tom Linley, our current Director of Emergency Management and Volunteer Services, has been given an opportunity to serve our state as Assistant Bureau Chief of the Bureau of Operational Services with the Florida Park Service. Prior to joining our Volunteer Florida family, Tom served 23 years in various Florida State Parks, and he is excited to make a comeback. Tom has been a part of our Volunteer Florida family for nine years. He served as Chief of Staff for seven years and for the last two years he has served as the Director of Emergency Management and Volunteer Services. We are going to miss him as a part of our team, but we are glad he will still be connected to us through our national service and volunteer partnerships. 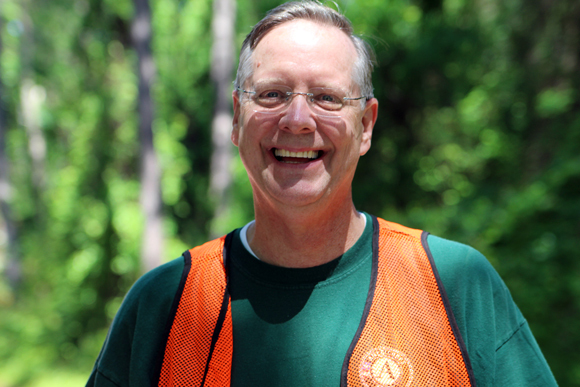 In his new role, Tom will provide oversight of the Florida State Parks AmeriCorps program, more than 80 citizen support organizations and more than 27,000 state park volunteers. We congratulate Tom and Merrilee, and commend their hard work and service!